Nowadays, the average person uses his or her cell phone for just about everything—and the average company is following suit. Employers have begun to take their corporate wellness initiatives on-the-go with Coach Alba, a text-based mobile health coaching service. Employees can use the tool to set private reminders for “crucial moments,” i.e. the tough times when they’re tempted to forgo healthy behaviors. These could include late-night snacking, smoking breaks and times when a person begins to feel stressed, to name a few. Coach Alba uses smart-texting to interact with individuals and help them overcome temptation. The company says its service it known for its high engagement results because the texting is direct and has incredibly high read rates. When users register their phones at CoachAlba.com, they can choose from common crucial moments they might want to overcome. 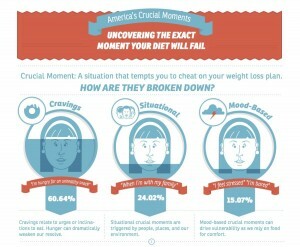 Crucial moments are broken down into three categories: cravings, situational and mood-based. Just before the crucial moment is set to occur, users receive a text from Coach Alba, reminding them of the tactic they’re going to use. Then, after the crucial moment has passed, Coach Alba will ask users to rate how well they were able to manage the crucial moment. Interested employers can try a demo at https://coachalba.com/demo.